ROCK OR DIE Monthly 2015 has been already finished. 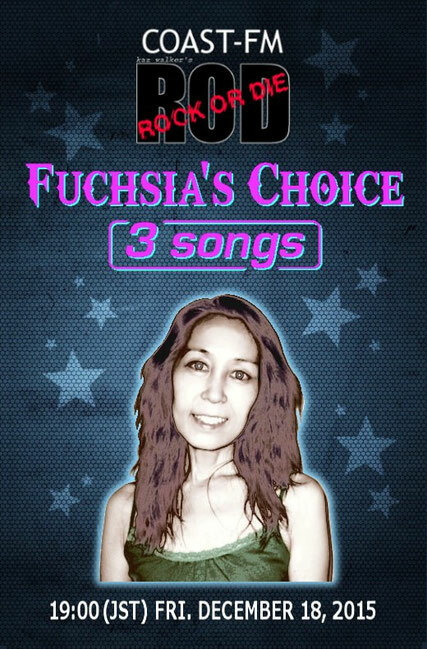 Fuchsia will appear again as a special guest to play 3 songs from the 2015 releases in Kaz Walker's ROCK OR DIE regular program on December 18th. We won't tell you yet which songs are chosen. Stay tuned for the show.